Americans for Prosperity to Voters: Four More Years for Scott Walker! 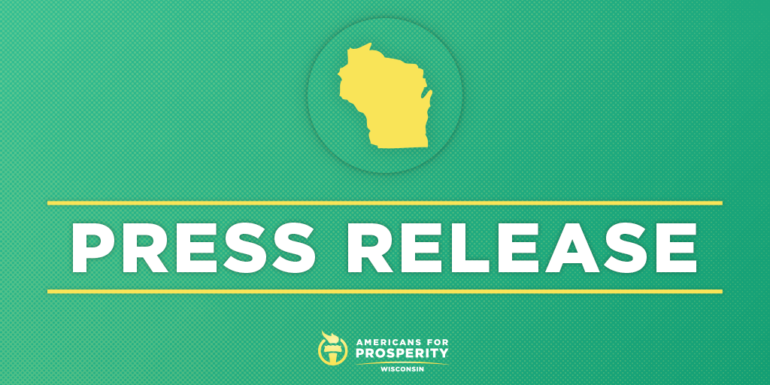 MADISON, WI – Americans for Prosperity – Wisconsin (AFP-WI) today announced it is enthusiastically backing Governor Scott Walker’s bid for re-election and actively calling for the defeat of his opponent, Superintendent of Public Instruction Tony Evers, in November’s election. The free-market activist group pointed to Walker’s strong record of enacting economic policies that are creating jobs, turbo-charging growth, and removing barriers to opportunity in the Badger State. By contrast, the group said, Tony Evers supports policies that would kill jobs, erase economic growth, and burden small businesses with unnecessary red tape.